More information: In 2017 a dear friend and past member of Mostly Autumn Liam Davison died suddenly and left the band heartbroken. Bryan Josh says: "A dear old friend and fellow musician of 38 years, not to mention 18 years with Mostly Autumn, once expressed to me his love for the idea of a Viking funeral, “you know, when they fire the flaming arrow and it ignites the boat”. I loved Liam more than words can describe, as did many, so it only felt right that we give him one last send off in the best way we know, straight through the heart of Mostly Autumn." 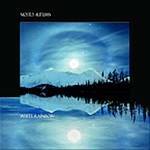 So begins the latest album from Mostly Autumn – White Rainbow. It has been described as the best album from the band so far and is full of sublime vocals and heartfelt guitar, not to mention the longest track the band have ever recorded. Troy Donockley (Nightwish) also guests on this album. Award winning Mostly Autumn’s musical palette is diverse, they draw on influences from the golden age of rock, but have developed their own unique sound that both captures the essence of that era and yet looks forward into the future. They have earned themselves a name for their outstanding live shows and have been described as ‘the best band you have never heard’. Since forming back in 1996, Mostly Autumn have earned themselves a name for their relentless touring schedule and outstanding live shows. They have built a loyal and cult following since their first album sixteen years ago and in that time such luminaries as Steve Hackett, the late Richard Wright, and the late Jon Lord and the BBC's own Bob Harris are amongst their many fans. They have been personally invited by Ritchie Blackmore to support on his Ritchie Blackmore’s Rainbow arena shows also as an acoustic duo to support Steve Hackett’s Genesis revisited tour. Bryan Josh is that rare beast – a hugely talented guitarist who knows how to play with feeling and for the song. His soaring guitar, always drenched in pure emotion, at times recall the golden era of guitar heroes such as David Gilmour but never outstays its welcome, always leaving the listener wanting a little more. Lead vocalist Olivia Sparnenn is a true talent, the range and beauty of her voice is world class. The magnificence of Iain Jennings on keyboards, complimented by a rock solid yet fluid rhythm section - Andy Smith (bass), Henry Rogers (drums), Chris Johnson (guitar) and Angela Gordon on flute and keyboards, make Mostly Autumn a band that will enthrall you and awaken memories of what real music is really about.